On ground, as it is in ceiling. and deliver us from further late blog posts. This entry was posted in Uncategorized and tagged Advice on March 19, 2010 by Heather Craik. 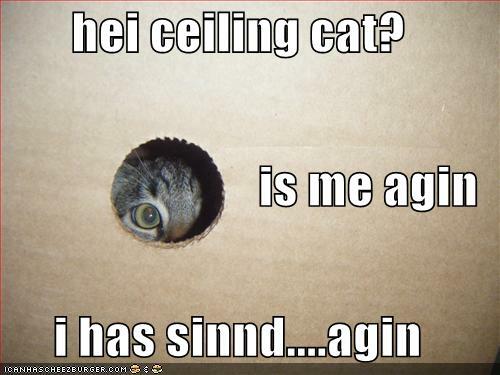 Ceiling cat i c u. .-= Dave Doolin´s last blog ..Not-So-Secret Blog Alliances – Kelly Diels bares (almost) all =-.